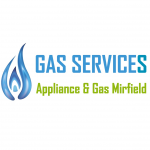 Bentley Gas & Plumbing are Gas Safe certified and based in Mirfield, West Yorkshire. Gas Safe registered company based in West Yorkshire. Your local gas engineer for boiler repair, boiler installation, plumbing and appliances.